The violin is an acoustic string instrument crafted from wood. It is a user-friendly instrument in that it is available in a variety of different shapes and sizes to suit the individual player. There are several different types of violins, and these violins also come in a number of sizes to suit players both young and old. There are several different styles of violins that are sized to suit young children. 1/16 violins are ideal for children with an arm length of between 14 and 15 3/8 inches. 1/10 violins are intended for children with arm lengths of between 15 3/8 and 17 inches. 1/8 violins are intended for arm lengths between 17.1 and 17.5 inches, and 1/4 violins are ideal for violinists with arm lengths that are between 17.6 and 20 inches. Larger violins are intended for older children, small adults, and adults in general depending on their size. 1/2 violins accommodate violinists with arm lengths between 20 and 22 inches. Violinists with arm lengths of between 22 inches and 23.5 inches will best benefit from a 3/4 violin. Finally, a 4/4 violin is a full-sized violin intended for arm lengths of 23.5 inches and longer. This is the size that most teenage and adult players use. Acoustic violins are traditional violins, and they are the type that is best suited for new players. The acoustic violin is the smallest instrument in the violin family, and it also possesses the highest tune. This type of violin produces music all on its own without any extra equipment. This violin is also commonly referred to as a non-electric violin. Electric violins, unlike acoustic versions, rely on electronic signal output in order to create a bold sound. Electric violins are recommended for more advanced violinists. The sound that an electric violin creates is sharper in comparison to the acoustic models. They are also generally capable of creating louder music as well, especially when combined with amplifier equipment. Some violins are classified based on the period or era where they originated. A baroque violin has a shallower neck and angle. Strings were made from gut and strung using equal tension, and little thought was given to the shoulder and chin rests, making it a more difficult instrument to play. 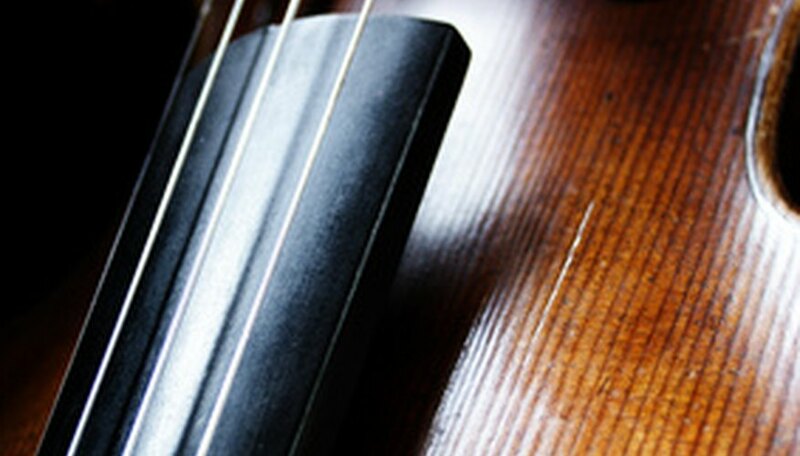 Classical violins have thinner necks as well as smaller heels in comparison to baroque violins. "Violin For Dummies"; Katharine Rapoport; 2008. What Is the Difference Between Classical and Folk Guitars?